Many trees are protected by tree preservation orders which means that, in general, you need the council’s consent to prune or fell them. In addition, there are controls over many other trees in conservation areas. You don’t normally need permission to plant a hedge in your garden. And there are no laws that say how high you can grow your hedge. Building regulations do not apply to trees and hedges but foundations can be affected by tree roots and soil moisture. Such matters should be considered when planting/removing trees or building new structures as certain tree species can affect foundations over 20 metres away. 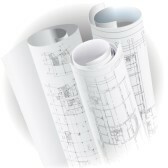 This guidance relates to the planning regime for Wales. Policy in England may differ. If in doubt contact your Local Planning Authority.